This week members of the NG Media team visited the community of Wanarn. Chris, our radio trainer, was a part of the group and along with Rongomai, our IT technician, worked hard in the RIBS studio making sure that everything was working properly. 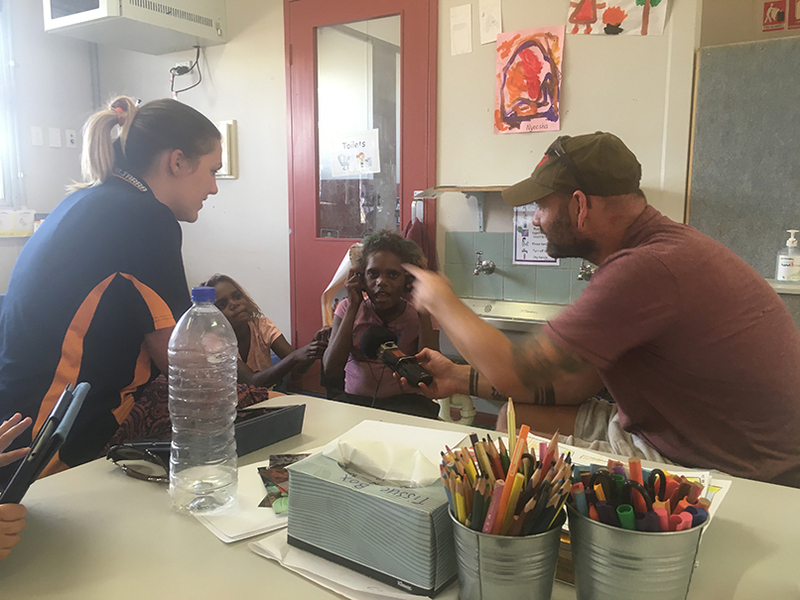 Chris also spent time at the school working with the staff and students, introducing them to some simple portable recording equipment like the Zoom H1 and H2. The students had a lot of fun recording station ID's from the school. In each of these communities it really was an introduction to radio as a concept. It is too much for the kids to go from nothing to doing a radio show, giving them an opportunity to play with compact recording equipment like the Zoom H1 and Zoom H2. Through these devices they can listen to themselves through headphones, hear their voice through a microphone and begin to think about some of the things you can do on a radio show. Like back announce songs, give information, interview people. 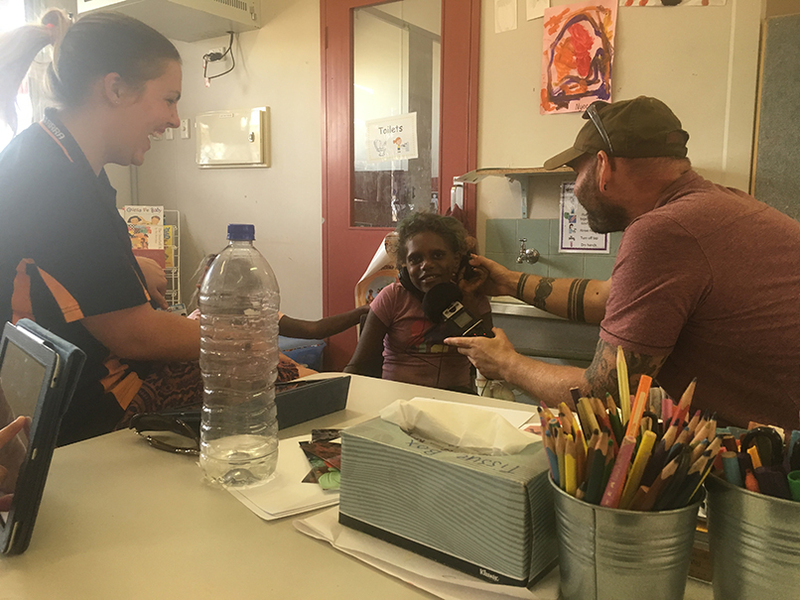 We also had a lot of fun recording ID’s from each school which adds to the connectivity of the radio throughout the lands. As well as working in the school, Chris was also able to meet up Denzil. Denzil has a history of working previously wiht NG Media as a radio announcer, mostly in the community of Wingellina. He has recently moved to Wanarn and is now going to be a regular presenter from the revamped studio there. Welcome back Denzil.